We offer professional embroidery services and other methods of personalization of apparel for companies, community groups, and individuals. The catalog links to the left will open a new browser window where you can view some of the available items. If you are looking for something special and you don't find exactly what you are looking for, give us a call or email us. Embroidery is not our only means of personalizing items for you. 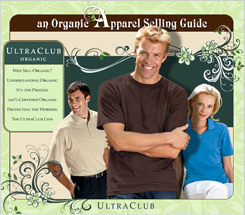 We can provide full color graphics using our direct to garment printing. Or, we can add sparkle with unique custom rhinestone designs and Specialty gold and silver foils. Our services also include a full line of vinyl and printed banners to display your name or event. And there are extra items like buttons, coasters, clocks, and mugs. Our goal is your satisfaction! We believe you should receive your items in a timely fashion and you should receive excellent customer service. If you're looking for a quote please call or email. We'll be happy to discuss your needs and assist you. If you have any problem with our website, please send us an email at or call us at 614.939.1844. Thank-you. Copyright © Namaste Embroidery 2009. All Rights Reserved.